Samovar 3 liter "Acorn" painted set "Zhostovo"
Talking about "Russian samovar" – Tula, talking Tula – samovar. 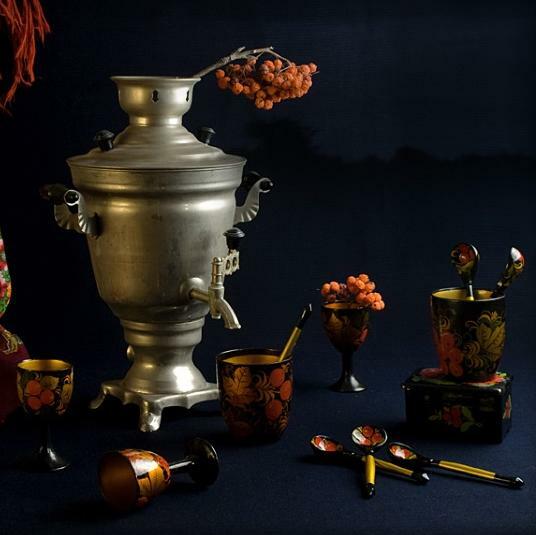 At the end of the nineteenth century there were several centers of samovar production, but soon Tula was the only city where mass produced, all varieties of these devices. Here was born the famous names such as Batashevy, the Vorontsovs, the Shemarins, Lomova, teyle. 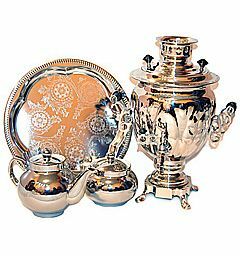 Tula samovars were exported and won Russian and international awards. Today it is not necessary to go to Tula, to buy a samovar. To choose and order it very easily on the website of our online store. We sell the Tula samovar production for 12 years! 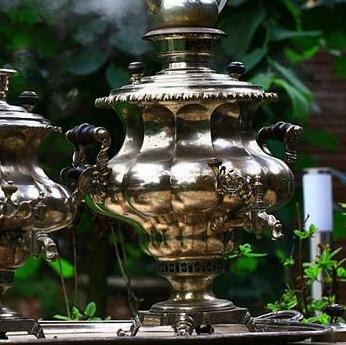 Amazingly, these "tea machine" in the past, was popular with all segments of the population: wealthy families who have demonstrated their position by buying the Russian samovar, decorated with luxurious embossing and engraving, and ordinary citizens who preferred a more simple model. His appearance these devices are bound to the tradition of the tea party, which began to spread since the eighteenth century, first in Russian cities, and later in the villages. 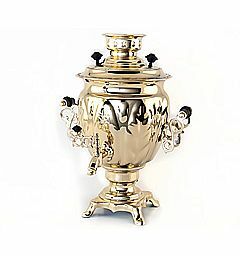 Today most of the purchased samovars used for its intended purpose, if not every day on holidays and weekends. Many products used in cafes and restaurants for cooking strong flavored drink. Experts say that flame Tula samovar allows you to maximize the taste of good teas. However, it is not only a household item, but also an exclusive decoration: without it it is impossible to imagine a traditional Russian interior. 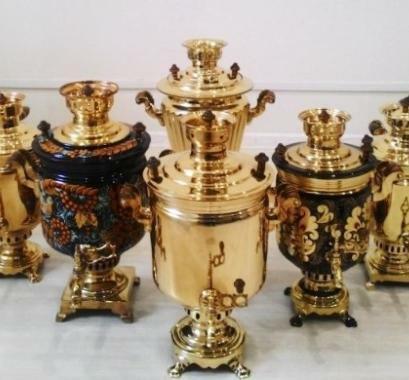 Today you can buy cheap samovar, decorated with engraving or colorful paintings. 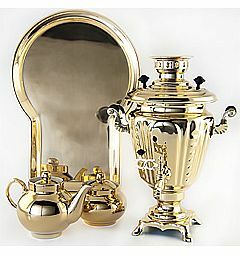 Many of the online-shop of samovars are equipped with trays and teapots. To buy their favorite product, add product to "shopping Cart". There are other ways of ordering: request a call back or email order@shopsamovar.com a short letter with your request. If you want to buy Tula samovar with a logo, personal inscription or drawing, we will make it to order! If you have not found a product that would suit you completely, you can write us a letter. The specialists of the store will select a few low-cost models that meet your requirements.